Thanks to the new STIM material, the i5-9600K offers excellent overclocking potential, reaching 5.2 GHz on all cores using a high-end air cooler. The temperatures were a bit over 90C, so a water-cooling solution might be more appropriate, still it is quite impressive how the STIM material helps with the overclocking procedure. The OC-ed processor performed similar to a stock i7-8700. Intel’s gen 9 mainstream CPU lineup is launching this week, and leaked benchmarks are already popping up here and there. The i9-9900K was overclocked and benchmarked by Intel itself right after the official announcement, while the i7-9700K got leaked benchmarks even before the announcement, but what about the i5-9600K? 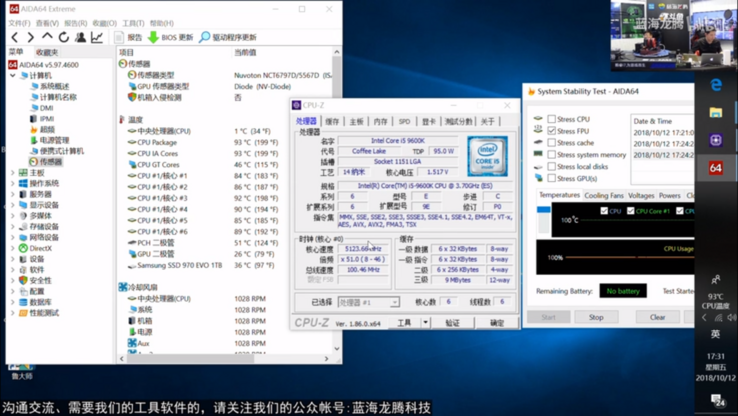 The most affordable of the new unlocked mainstream CPUs from Intel was recently overclocked by the guys over at the Chinese site Douyu.com, who also posted some synthetic benchmarks (unfortunately no gaming benchmarks as of yet). 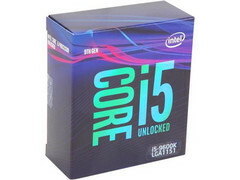 The i5-9600K integrates 6 cores and 6 threads, so it can be considered a successor for the i5-8600K. With higher clocks and better overclocking potential, the i5-9600K was pushed to 5.2 GHz on all cores @1.507 V, although the overall temperature was sitting at a little over 90C using a high-end air cooler, so it clearly is advisable to opt for a water-cooling solution. For its price point of US$280 (Newegg), the i5-9600K certainly feels like it could go head to head with the Ryzen 5 2600X from AMD, as it has higher clocks, but lacks the additional 6 threads. Performance-wise, the OC results are on par with what a stock i7-8700 would achieve, but one must factor in a good cooling solution, which, in the end, increases the overall price to what said i7 would cost.